Protecting homes and businesses in the DC Metro area since 1973. Kemco's monitored security systems provide your home or business with the highest levels of protection available. Whether you need a budget system or the most sophisticated, Kemco can design a system to fit your needs. For the most demanding applications, Kemco provides the Uplink Digital Cellular Communicator back-up system which will work if a phone line is cut, damaged or simply not available. Kemco's state of the art monitoring facility tells authorities exactly where an alarm was tripped which improves safety and response times to emergencies. 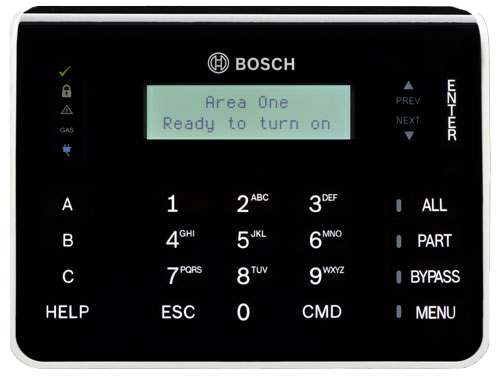 Kemco is an authorized Bosch and Uplink dealer. We tried several other companies including some of the 'big' ones, then we tried Kemco. The other companies simply used a cookie-cutter approach. Kemco worked with us. Excellent service and no false alarms, we use them for all our security work and we recommend them to all our clients. Call or email us for a free security survey. Website created by Megan Gayle.